Well, last week I made a bit of a mistake, didn’t I? It felt like, within seconds of me submitting an article that featured the phrase “slow news week” a million different esports stories broke. I was like the poor sap waiting for a late bus, who decides it’s a safe time to like a cigarette, only for a dozen buses to appear at once. On the plus side, though, at least I didn’t jinx Astralis as I had previously alluded to doing to SK last year. They took down the ECS finals this past weekend, continuing their absurd record of winning everything all the time. In League of Legends, though, it’s transfer season. Rumours have been circulating for a while, but the first real concrete moves were confirmed over the past week. 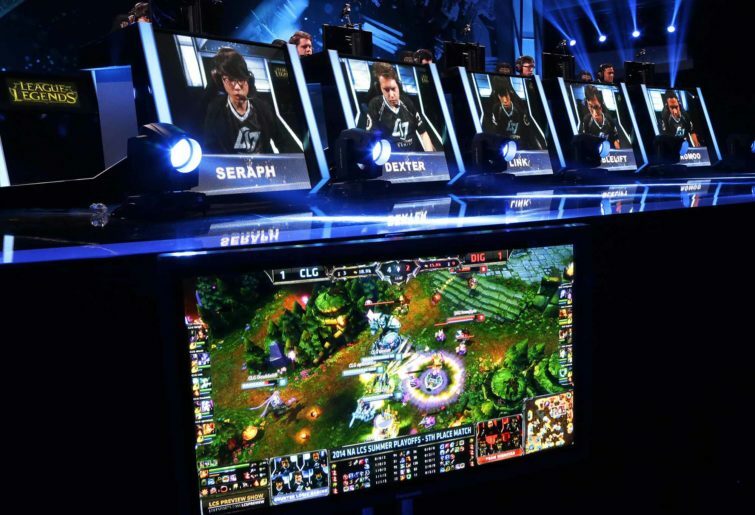 Similarly, the new-look LCS (now known as the LEC, or League of Legends European Championship if you’re not a fan of brevity). Much of the re-branding is marketing guff, but with it came some real news: the confirmation of which teams – or, more accurately, franchises – will be part of LEC. We had been hearing bits and pieces about teams not being invited back for months, but now we have an official list of the ten competing organisations in black and white. The list is, for want of a more emotive term, interesting. All three of the teams that attended Worlds from the European region have made it back, but fan favourites Unicorns of Love are no more and they are not the only casualty: Roccat, Giants and H2K have all be axed in the name of progress. Well, kinda. Of the four new organisations, two have previously been part of EU the LCS. SK Gaming is, of course, a legendary name in the esports scene and Origen has a short but successful history of its own, having reached the semi-finals of Worlds back in 2015. Undoubtedly, it’s exciting to see these two names return but neither organisation left the LCS on the best of terms last time around. SK has been plagued with stories of bad management for many years, across several different esports titles, including League. Meanwhile, Origen went from top four at worlds to crashing out of the LCS altogether a couple of seasons later, unable to retain its roster for the Challenger Series. With Astralis’ management team of RFRSH at the helm, it’s unlikely the same issues will crop up again, though. Indeed, Origen won the recent European Masters, albeit with a roster which has now completely disbanded. With such strong backing, it should be easy for them to pick up a strong team before the start of Spring Split. SK, on the other hand, didn’t compete in Masters and doesn’t seem to have changed much, structurally-speaking. We have to assume RIOT has done their due diligence in making sure SK is a proper fit for the franchise system, but it remains an assumption at this point. I have yet to be convinced, but surely RIOT wouldn’t have ditched other established names if they didn’t think SK is a proper fit. That leaves the two properly new organisations, Excel and Rogue. The latter I know as an upcoming prospect in North American Counter-Strike, but they are completely new to League. Their roster is currently empty, but the recent signing of Edward as assistant coach is a show of intent. Edward is a true veteran of League esports and his joining is a step in the right direction. It goes without saying that a big part of how Rogue competes moving forward will depend on how well they perform during transfer season. They are truly a blank slate, but, with so many free agents still available, there is room for Rogue to pick up a squad that can compete with the big boys. Excel, despite being a UK-based team, is a bit of a blind spot for me. They are very active on the domestic scene, having won three Insomnia events in 2018, but that doesn’t mean much for a team looking to compete in the LEC. They did fine in Masters, but not great, and three of the players from that team have since left. I don’t really see what Excel can offer RIOT and the LEC that the likes of Roccat couldn’t. I’m not alone, either. Most of the feedback from reddit has been negative, but even that is misleading because it implies that people reacted at all. In reality, the community’s response to Excel has been one massive shrug. A thread from two days ago about the newcomers has just 15 comments, most of which were jokes about the name Excel. I don’t want to be rude, but unless Excel pulls an Optic and picks up LCK calibre players to fill its roster, I can’t see them making much an impression on the LEC. The fact that Excel has been around for a few years now in a UK scene that is notorious for its instability is a good sign, but is somewhat counteracted by the fact that nobody outside the UK has heard of them till now. I want this team to do well, of course I do, but unless their remaining players end up being Ambition, Bdd and Kramer, they have “whipping boys” written all over them. I hope I’m wrong.